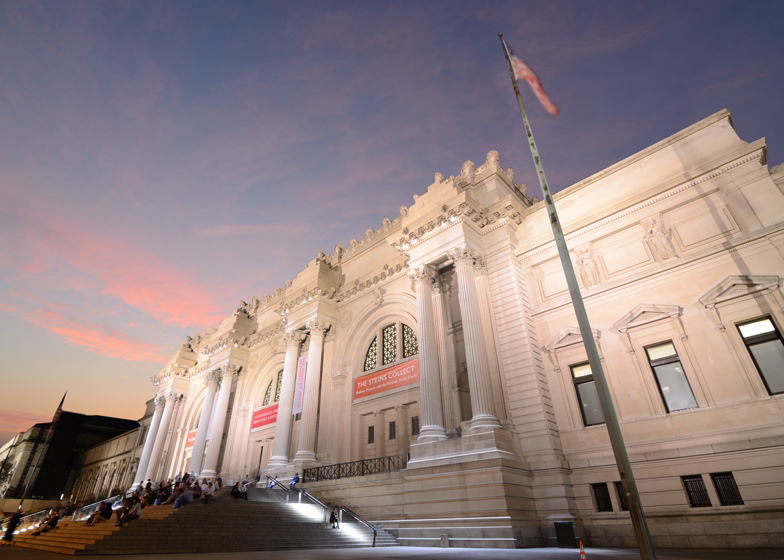 British architect David Chipperfield has been selected to design a new wing for New York's Metropolitan Museum of Art. The Metropolitan Museum of Art announced today that it had appointed David Chipperfield's firm to rebuild its southwest wing for modern and contemporary art. Gallery space for the museum's collection will be increased, the existing roof garden will double in size and an accessible on-site storage facility will be created. The firm could also be asked to add new galleries for art from Africa, Oceania, and the Americas, according to the museum. The British architect – whose portfolio includes the Neues Museum in Berlin and Hepworth Wakefield gallery in northern England – was selected ahead of firms including Foster + Partners for his "vision, experience, and compatibility", said museum director and CEO Thomas P Campbell. "David Chipperfield’s global architectural experience and sensibility, along with his commitment to the collaborative aspect of creating architecture, make him a perfect partner on this milestone project," said Campbell. The design is yet to be revealed, but it is expected to extend out into the museum's grounds and include a new park side entrance, with a brief to enhance gallery configuration and improve navigation for visitors. "The goal in our work with David and his team is to take a giant leap forward in the presentation of modern and contemporary art at the Met, and to be able to better tell the multiple narratives of the art of our time," added Campbell. During construction, the Met's collection will be moved to the Marcel Breuer-designed former home of the Whitney, which is moving into a structure by Italian architect Renzo Piano. The Met is occupying the Breuer Building with an eight-year lease. The project forms part of a wider masterplan by New York firm Beyer Blinder Belle Architects & Planners for the future of the institution, which is the largest museum of art in the United States. The new vision aims to incorporate state-of-the-art technologies into the museum complex. It follows on from the 1971 masterplan for the institution created by Pritzker Prize-winning architect Kevin Roche, who has designed most of the Met's new-build projects since then – including six new wings. Other recent projects have included new galleries for Islamic art completed in 2011, new galleries for the American Wing completed in 2012, and the recently opened Anna Wintour Costume Center. Chipperfield's appointment is the result of a year-long selection process that included over 50 international firms. Development of the design will begin immediately. "During the competition we developed an understanding and fondness for this amazing institution and we look forward to working with Tom Campbell and his colleagues on the development of the design," said the architect.